Buchet-powered motorcycle combination Buchet-powered motorcycle combination Buchet machine at Dimitrie Leonida Museum Buchet-powered motorcycle combination Buchet-powered motorcycle combination Buchet-powered motorcycle combination Buchet-powered motorcycle combination Buchet-powered motorcycle combination Czech Mystery Bike see forums Aug 2010 Debramatic Moped Donny's Ratbike Indonesia French motorcycle, possibly Stoye sidecar German Shepherd with Motorcycle Horex c1936, possibly 1930s OHV, German soldier IVB-15443, no larger image available Early 30s. No larger image available. 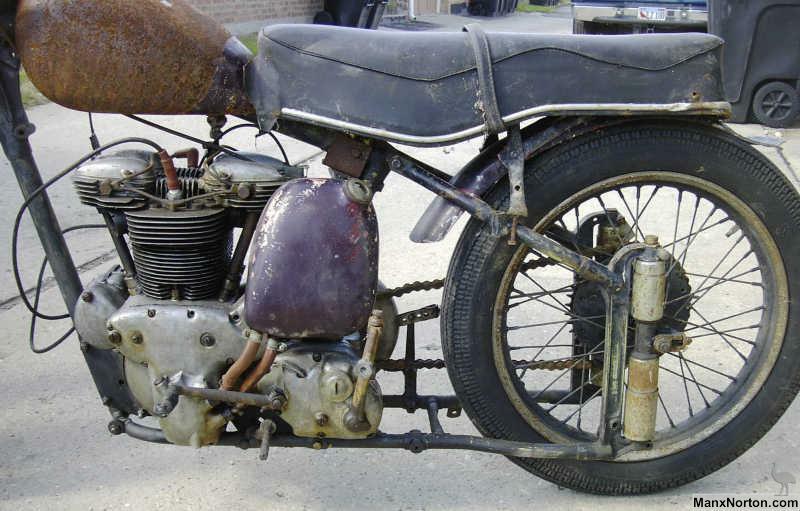 Appears to be a Moto Guzzi, possibly the 1939 ISDT UH659, no larger image available Greek 3-wheeler, Milos Three-wheeler in Greece, Island of Milos Hasidic Jew from Tarnów, 1938 Indian Warrior 1951 Indian Warrior 1951 Indian Warrior 1951 Indian Warrior 1951 Invalid Carriage Germany circa WWII, JLO Engine Invalid Carriage Germany circa WWII, detail Minarelli Mystery Bike Minarelli Mystery Bike Minarelli Mystery Bike Minarelli Mystery Bike Mystery Minibike 1890s French Tricycle at the Ford Museum Mystery Motorcycle - 1950's Plunger Mystery Motorcycle - 1950's Plunger Mystery Motorcycle - 1950's Plunger Mystery Motorcycle - 1950's Plunger 1950s Twostroke Earles Forks 1950s Twostroke Mystery Autocycle NL Automoto, possibly Mystery Machine Copenhagen Mystery Machine Finland Possibly FN Model 74 Mystery Bike Model 74 Mystery Bike Mystery Bike Poland German (?) OHC Twinport Mystery Bike with DKW in background Mystery Bike with Franco Morini Engine Mystery Bike Franco Morini Engine Mystery British Bike c1910 St Louis Museum Mystery British CA Mystery British Bike c1910 St Louis Museum Franco Morini engined bike, Belgium Franco Morini engined bike, Belgium Mystery frame Indonesia British Frame, make unknown British Frame, make unknown Minarelli Moped Mystery Mystery French Twostroke Veteran belt-drive single Mystery Indian Minibike Mystery JAP c1924 Australia Mystery JAP 250 Mystery JAP 250 Bobby and Grandma on a JAP Motorcycle Sidecar Mystery JAP SV Poland Minarelli-engined car Minarelli Fantic Moped Minarelli Fantic Moped Minarelli Fantic Moped Mystery Minibike Cornwall Mystery Minibike Cornwall Mystery Minibike Cornwall Mystery Minibike Cornwall Mystery Engine Minnesota OHV Single Poland English Outfit Mystery Pioneer Norway Mystery R Sweden Mystery R Sweden Mystery sidevalve motorcycle UK c1945 Sloper, Austria Mystery Triumph Custom Mystery Triumph Custom Mystery 1920s motorcycle, Minnesota Twinport Motorcycle Oxford UK 1930s 150cc Twostroke WTF? Unknown Twostroke Motorcycle, Belgium Mystery twostroke Brazil Mystery Twostroke Germany 1950s Mystery Twostroke TN Mystery Twostroke Minibike Texas Mystery Villiers Veteran Mystery Villiers Veteran Mystery Villiers Veteran engine Mystery Villiers Junior engine Victoria Motorcycle collage Mystery Villiers Australia 494548 Mystery Villiers Australia registration 494548 Mystery motorcycle, Villiers engine, Utah Vintage Motorcycle AW6401 Vintage Motorcycle AW6401 Mystery motorcycle, Villiers engine, IVB-36272 Mystery motorcycle, Villiers engine, Germany Mystery Zwingel Pioneer photographed in Italy Pioneer tricycle photographed in Italy Pioneer photographed in Italy Veteran photographed in Italy Sidecar and Dog Teyssot Mystery Bike Mystery Tri-car Four-stroke flat-tank Australia, 1930s.